The Columbia River Gorge and Mount Hood both made the list of Oregon Day Trips noted in an article published by the Los Angeles Daily News. Read what the article had to say about these two beautiful scenic areas below. Columbia River Gorge: This is an excellent spot for hiking with a spectacular array of waterfalls right off the historic Columbia River Highway’s scenic byway, which begins just beyond the Troutdale exit on Interstate 84. Many of the falls can be seen from the byway, including the majestic 620-foot-tall Multnomah Falls, the fourth tallest in the U.S. For a spectacular view of some of Oregon and Washington’s largest peaks, go right at Crown Point on the scenic byway onto Larch Mountain road. 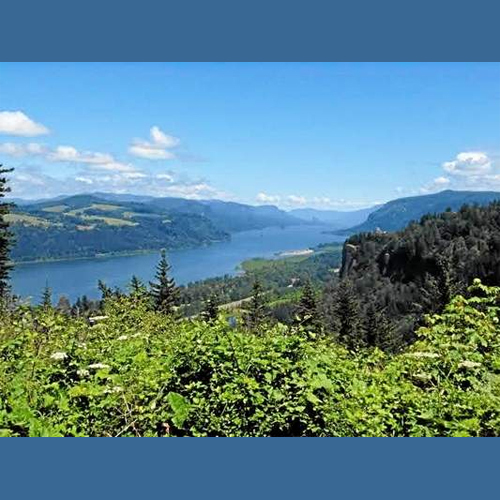 It meanders 14 miles to a parking lot from which you climb a long wooden stairway to Sherrard Scenic Viewpoint. Mornings are best to minimize cloud cover. Also consider visiting the Bonneville Dam and the Bridge of the Gods. For more information, www.crgva.org. Mount Hood: Take the Mount Hood scenic byway, a 65-mile loop around Mt. Hood, offering panoramic views and magnificent geologic formations. For information, www.MtHoodTerritory.com.